With over 30 years of Volkswagen experience, Owasco takes pride in keeping your vehicle well maintained and properly serviced. With our Volkswagen certified technicians, a large Parts inventory and Factory trained Service & Parts Consultants, we promise your visit to Owasco will be a memorable and worth while experience! Our Service Department is dedicated to making your vehicle top priority. Along with our on site 65 car rental facility. 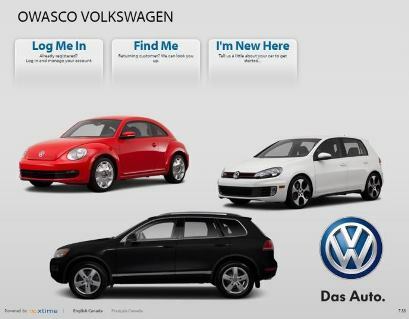 Owasco is considered by many a 5 star service experience providing all your Volkswagen needs under one roof. Looking to book an appointment? Want to update your Contact Information? Have a Question? Contact our Appointment Coordinator and he would be more than happy to help you! 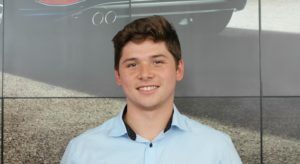 At Owasco Volkswagen we want to make your experience with us as smooth and stressfree as possible! We have an online portal that will help you book appointments, update your contact information, see what services you have upcoming, and more! Simply click the link to the portal and get started! Are you are noticing a vibration at 100kph which goes away with the increase or decrease of vehicle speed? Then you most likely need a wheel balance. Our equipment is state of the art and will ensure your wheel assembles are perfectly matched. A Static wheel balance will balance the assembles with no load. Did you know your Volkswagen can travel 15,000km between oil changes to a maximum of one year? We will change your oil and filter, reset your oil life monitoring system, perform a complete Volkswagen approved inspection and provide a written report of our findings. All within an hour of your time. Did you know your alignment could be ok but your car could still pull left or right? Your alignment should be checked Every 24,000 km or 18 months for all Volkswagen Models. We have a state of the art wheel alignment machine which provides a printed report of your Volkswagens wheel alignment. A Wheel alignment Check prolongs the life of your tires, ensures dependable control and maximum safety. Did you know that brake fluid absorbs moisture which is harmful to your brakes hydraulic system? Your Volkswagen has a complex braking system that requires periodic inspection and maintenance. Every 2 years your Volkswagens brake fluid will have reached its serviceable life and will require a change out. This service will extend the life of all hydraulic components with in your braking system ensuring a smooth and predictable stopping application. Are you aware that you can extend the life of your original equipment brakes? Every 48,000 KMS or 36 months — all Volkswagen models. Keep it shiny and like new. A clean car says a lot about its owner. But beyond first impressions, regular care of your vehicle’s exterior can help increase its longevity and value. Did you know that most tires can be repaired if punctured? A simple patch from the inside is an approved method of repair and can often save you hundreds of dollars in tire replacement costs. Do you have summer and winter tires? If yes then where do you store them? Proper storage is essential to protecting your tires longevity and performance. We understands that it is difficult to find the time to remove your wheels and even more difficult to find a suitable place to store them. Because of this need Owasco offers our very popular Tire Storage Service where you can be assured that your tires will be in a perfect and safe environment for the winter and summer months. Owasco has a cool and dry storage facility designed to save your investment from damage. Are you aware that diesel fuel can have moisture present with in it, and that your diesel filter is designed to trap this moisture? Volkswagen recommends that this filter be replaced every 30,000km to protect the longevity of your fuel system, pump and injectors. Due to the nature of the wide variety of our model line up, batteries can vary in price. Please call for pricing regarding your Volkswagen. The battery is the main source of the power required to start your engine, and also serves as a storage device for the energy produced by the alternator as you drive. Major advances are being made every day in electronics, and an increasing number of consumer devices and control units depend on the vehicle power supply network. Car battery performance declines significantly at low temperatures. During the winter, however, a considerable amount of extra power is required to start the engine, run the ventilating fan and produce heat for the vehicle interior. More electricity is used than what is produced by the alternator – especially on short trips. Breakdown statistics published by major automobile associations show that battery failure is the leading cause of problems on the road, and not just when it comes to older vehicles. The timing belt is located on the front end of the engine and connects the crankshaft and the camshaft. It acts to keep the moving parts synchronized at all times, and to avoid an impact between pistons and valves, which would cause serious engine damage. During its product lifecycle, the timing belt covers an enormous distance inside the engine equivalent to more than six times around the globe. Even after an extended service period, the timing belt should never stretch. Otherwise engine timing will be off, resulting in increased fuel consumption and emissions. If the timing belt snaps, the pistons will strike the valves that are left open, bending or breaking them. At the very least, the new cylinder head will have to be replaced. If worse comes to worst, even the most durable engine can fail in seconds. Your Haldex system is another component in your 4 wheel drive system that essentially couples your rear differential to the drive mechanisms in your VW. It is a hydraulic pump that is activated when wheel slip is detected. The hydraulic pump applies the clutches that engage the rear differential. The fluid in the Haldex unit is under extreme pressure/heat and has a limited life span. At regular intervals, this fluid must be renewed in order to preserve the clutch material inside. Your DSG (direct shift gearbox) is a high performance transmission Born on the race track, it delivers crisp hard shifts when required while at the same time maintaining spectacular fuel economy. Volkswagen recommends you change the DSG fluid and filter every 60,000KM in order to keep it operating as described and the warranty upheld. The transfer case in your Volkswagen is the heart of your 4 wheel drive system. The transfer case decides how to split the power sent from the transmission to your front or rear wheels depending on which wheels have he best grip. It works very hard (especially during the winter months) and with this, requires special attention. The fluid needs to be changed at a regular interval in order to keep it operating at optimal performance. The Manual Transmission in your Volkswagen is a high tolerance, close ratio gear box that is specifically built to deliver smooth power on demand. The fluid in your Manual Transmission is designed to keep the bearings and gears cool and lubricated when under load. The service involves draining the expired fluid and replenishing with new. A road test will confirm that proper functionality is restored.